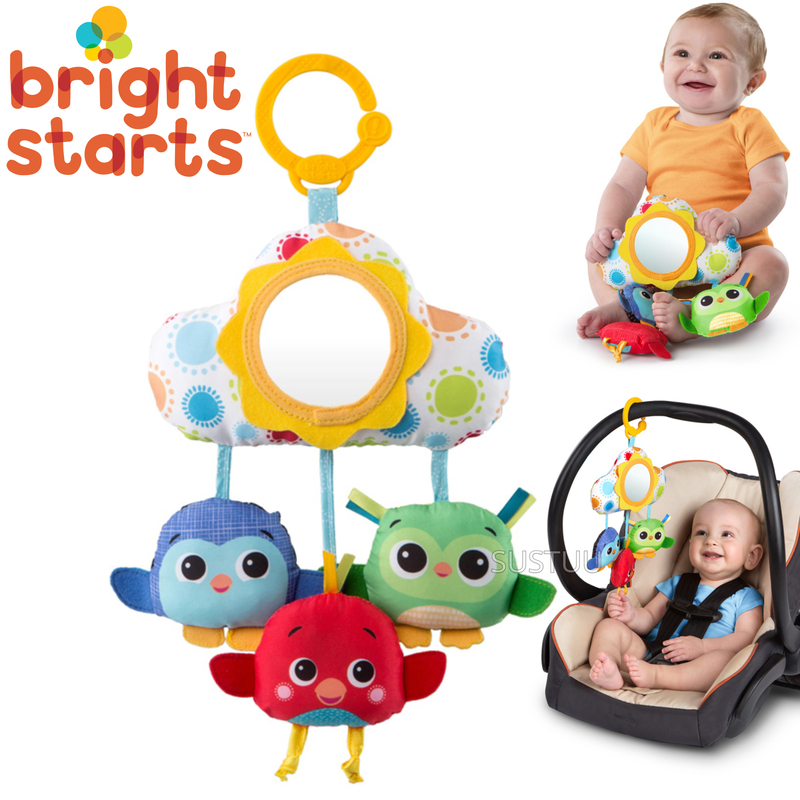 Fun Comes First!™ The sky is the limit for fun with Bright Start’s Cloud Carrier Pals™! When baby activates the adorable birdie plush pals with a shake they make a sweet chirping sound. 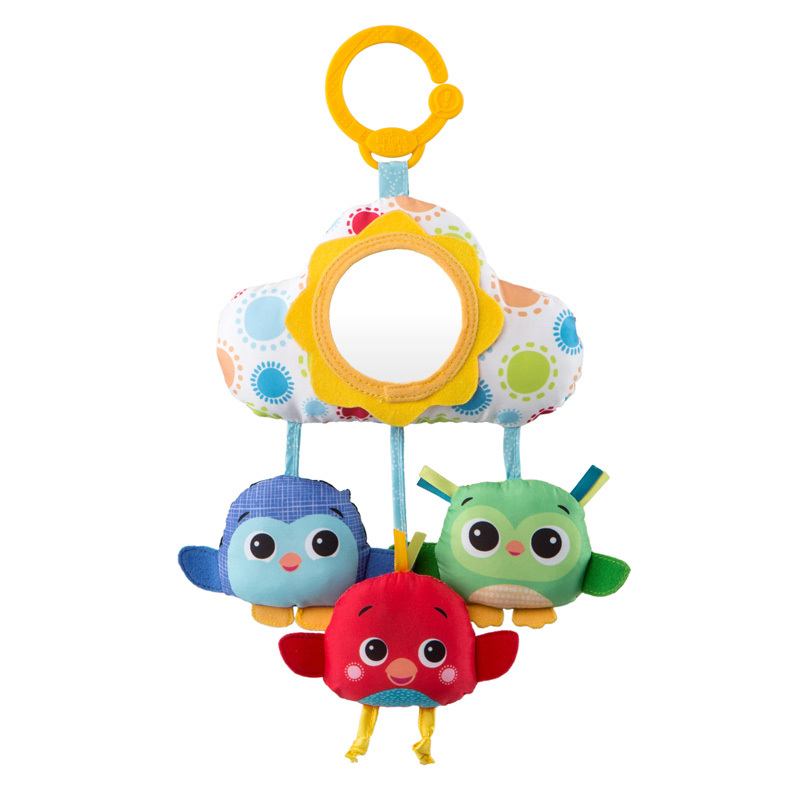 This soft take-along toy features a baby-safe mirror for self-discovery. 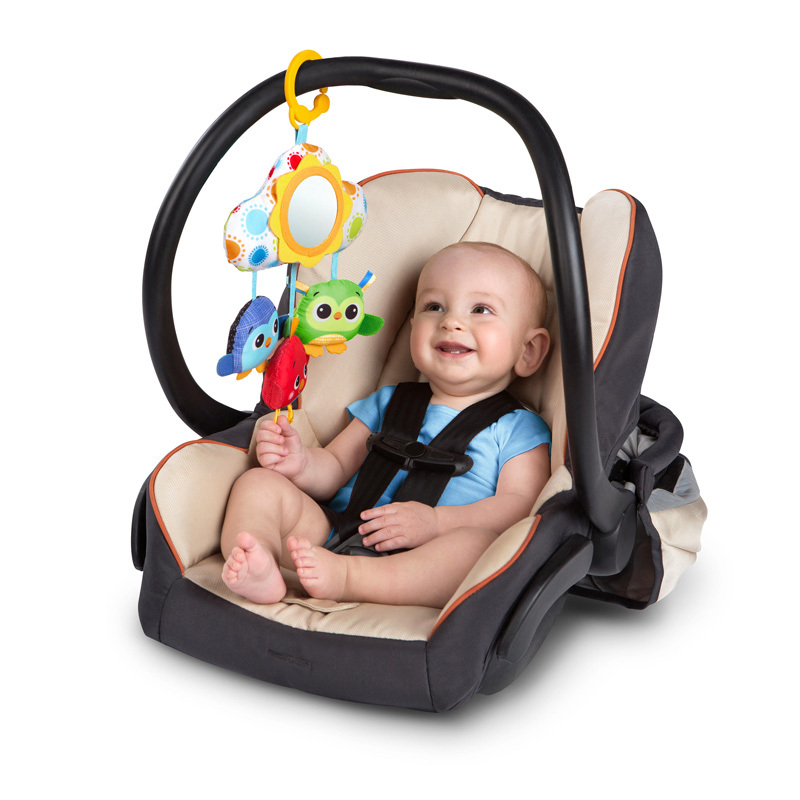 Take the fun on the go with the c-link that easily attaches to most strollers, carriers, and Bright Starts™ products with available loop to link. Fun colors and patterns grab baby’s attention. 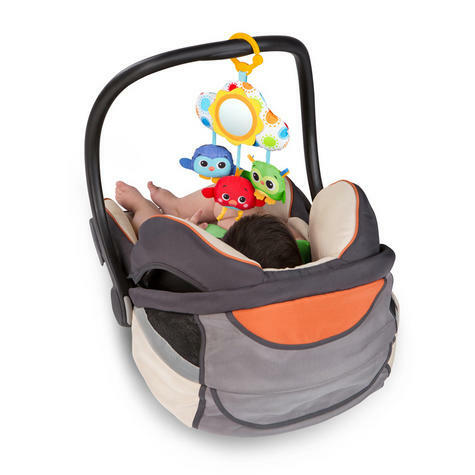 Recommended for newborns and older.